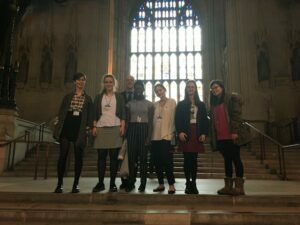 Year 12 Politics students took an individual group tour of the Houses of Parliament as part of their introduction to the A Level Politics course. As part of the tour, they were able to see the Queen’s apartments, the House of Commons and the House of Lords. They were particularly taken with the Queen’s throne in the House of Lords from which the Queen’s speech is delivered. Along with the long history of the throne they learnt that it is rumoured that Michael Jackson had once offered to buy it for four million pounds! The students also saw the statue to which a Suffragette had chained herself, in the Votes for Women campaign of the early 20th century. Another highlight was visiting the Great Hall where many dignitaries have addressed Parliament, including Nelson Mandela and Barack Obama. The students took part in a workshop where they were able to discuss the role of pressure groups in our democracy. They also had a stimulating debate about the effectiveness of the NUS and the Howard League for Penal Reform. 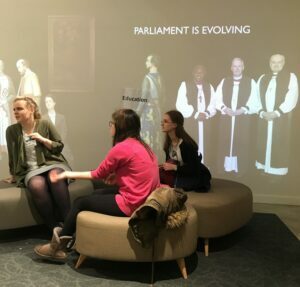 All the students agreed that the visit has given them a greater insight into the workings of Parliament and an ideal start to their A Level course..